Desperate to eliminate nail fungus? Toenail fungus won’t go away? Yeast infection got you down? You’ve reached the premier source for toenail fungus, nail fungus, athlete’s foot, and yeast infection support! Are you tired of companies pushing nail fungus products that don’t work? Getting real answers for nail fungus is hard. Too many nail fungus websites sell expensive hype and false claims. We provide a different type of conversation. This is the source for the real, honest information about nail fungus. We’ll tell you what causes it, why it’s so hard to get rid of, and how you can finally experience relief. After searching the world for the most effective, natural ingredients…MYCOZIL HAS A NEW AND IMPROVED FORMULA! Questions? Call Global Healing Center today at 1-800-476-0016 and place your order with a REAL person! Mycozil is a natural support for nail and toenail fungus and yeast overgrowth. The Mycozil website provides information based solutions, you can’t confront your toenail fungus until you understand what’s causing it. Other nail fungus products are based on hype and don’t offer research and explanation to back up the efficacy of the ingredients in their products. The Mycozil website offers an online library of information about nail fungus, toenail fungus, and yeast infections. Browse topics such as toenail fungus, nail fungus, candida, yeast infection, and athlete’s foot. Learn the causes, learn what works and what doesn’t! Ignore the hype, read the research. 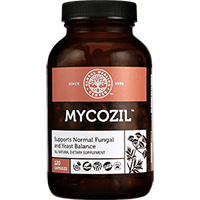 Are the Mycozil reviews real? The Mycozil website doesn’t contain phony testimonials or paid endorsements. The product feedback posted on this website has not been rewarded with payment or free products! Be careful when searching other fungal product web sites claiming to offer legitimate product reviews. These are often “fake” paid sites with advertisements disguised as reviews in order to increase the perception of effectiveness. Why is Mycozil so effective? Mycozil is formulated with only the absolute highest quality ingredients in a high potency combination. Browse the product information section and learn how each ingredient in Mycozil addresses the fungal problems that are ruining your nails. If you’re fed up with nail fungus irritation then you need Mycozil! Toenail fungus infection, also known as Onychomycosis or Tinea Unguium, is very common and accounts for approximately one third of all fungal skin infections and half of all nail complaints. Approximately 10-12% of the population have indications of nail fungus and this is only reported cases! Because nail fungus is unsightly and embarrassing, it commonly goes unreported. In fact, actual prevalence may exceed 25% of the population! What are the indications of nail fungus? Toenail fungus develops as overgrowth spreads through the nail bed and produces discoloration, usually yellow or black. The texture of the nail can become brittle and crumbly and break easily, irregular growth is also common. Is nail fungus a serious concern? Nail fungus is more than just a cosmetic problem. Left unattended, nail fungus can lead to other problems including pain, ingrown toenails, or further systemic fungal infestations. In severe cases the fungus or germs can spread to other areas of the body. What causes toenail fungus or nail infections? Toenail fungus or nail fungus overgrowth are typically caused by fungi such as dermatophytes, mold or yeast. Up to 50% of nail fungus infections are accompanied by other harmful organisms and germs. Fungal infection often occurs in people who wear constrictive footwear, or share locker rooms, showers, or bathrooms with others. Moisture and low oxygen are prime conditions for fungus to grow, that’s why toenail fungus is common. Using nail or toe nail polish can make it difficult for nails to break and may promote the growth of the fungus. Fungal overgrowth can be contagious, especially when conditions are favorable to fostering growth. Environments like locker rooms and showers, unfortunately, make a great petri dish. Sharing footwear and nail clippers can also spread toenail fungus. If not properly addressed, fungus can spread to other nails. Beware! Nail salons that do not properly sterilize their equipment can spread toenail fungus (and worse!)! What other factors lead to fungal proliferation? Toenail fungus and nail fungus commonly occurs in people whose immune system are not functioning at optimal levels. Poor circulation to the feet may increase susceptibility of infection. Poor nutritional habits can also lead to a proliferation of fungus in the body. Is there anything that can be done to help avoid nail fungus? It is best to avoid foods high in simple carbohydrates and sugars and increase consumption of vegetables and high fiber foods.